Known to many as the ultimate foodie neighborhood in New York City, the East Village is home to an array of cuisines. From Michelin star restaurants to secret hole-in-the-wall joints known only to locals, there’s something for everyone’s taste and mood when hungry in this neighborhood. 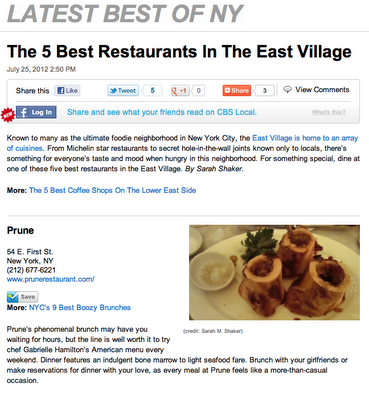 For something special, dine at one of these five best restaurants in the East Village. Thanks for share this information about this excellent Restaurants in the East Village, I would like to go. I recommend this place "Momofuku Ko" is located in New York 163 1st Avenue, is the best place, I love the food and Ambient is so good. Thanks for share this article with us.